Mill Hill Broadway can be found in Barnet, North London. Despite being just 20 minutes from Central London by train, the area has more of a suburban ambience, with a strong sense of community and a beautiful park on its doorstep. The Broadway itself is pleasantly lively, with a variety of restaurants, cafés and shops, and the streets around it contain a variety of comfortable residential properties. The property in Mill Hill Broadway has plenty to offer a range of tenants and buyers. Commuters have easy access to the rest of the capital while families are attracted to the area’s top-performing schools, such as Courtland and The Orion primaries. 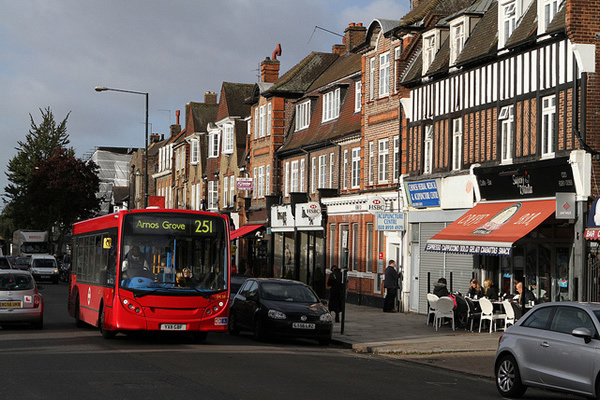 The Broadway is home to a selection of retailers and restaurants, and has become a social hub for residents of Mill Hill and the surrounding area. There are a number of attractive green spaces in the area, including Mill Hill Park, which offers play areas, sports facilities and impressive views of the city. Mill Hill Broadway has a wide range of properties, from luxurious mansion houses to more affordable terraces and apartments. An attractive mix of Edwardian, Victorian and 1920s homes can be found on Shakespeare, Milton and Tennyson Roads (just to the east of the A1) while some of the area’s most exclusive properties are located nearby on Uphill Road. If you’re looking for a house close to the train station, there are a range of spacious semi-detached and terrace properties available. In fact, thanks to the sheer diversity of properties on offer, Mill Hill Broadway has become something of a hotspot for families and commuting professionals alike. The mansion houses on Uphill Road and nearby are typically modern or early 20th century in design. Buyers can expect to enjoy extensive accompanying land and possibly even a swimming pool. The area also offers a number of attractive cottages, as well as Victorian and Georgian houses, many of which retain their original features, such as gables and bay-fronted exteriors. Additionally, there are a variety of 1920s and 30s terraced and semi-detached homes which are ideal for first-time buyers. 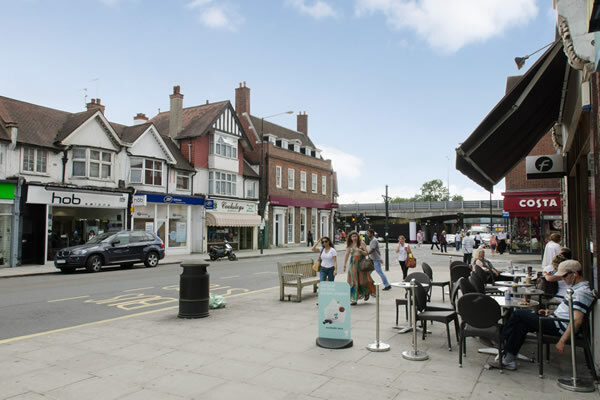 The average price of a property in Mill Hill Broadway has increased significantly in recent years, reflecting the area’s growing popularity. However, prices vary considerably and it is still possible to find a one-bedroom apartment that’s affordable for buyers looking for good value and an easy commute into London. The exclusive Uphill Road area is where many of Mill Hill Broadway’s sprawling mansions can be found, while the Broadway offers spacious but comfortable terraced properties and semi-detached houses. An excellent average weekly rental yield means buy-to-let investors can expect a good return, with a growing number of professionals and families actively looking to rent in the area. Mill Hill Broadway is a flourishing area to invest in, with a selection of amenities, outstanding public transport links, and plenty of surrounding parkland to enjoy.